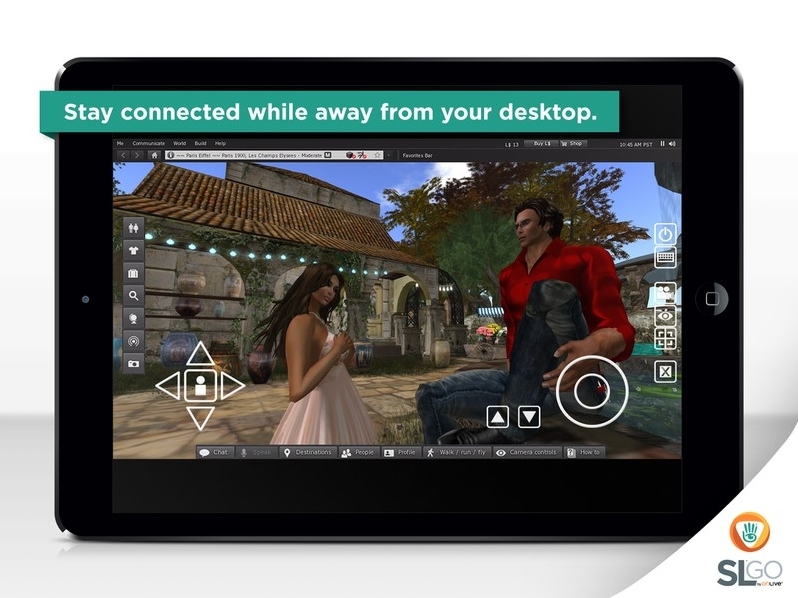 As I (among others) reported on Tuesday, October 14th, OnLive released a version of their SL Go service for the iPad. At the time of the release, there was an unexpected rotation issue which meant that the screen orientation was locked in one horizontal orientation – if you flipped the iPad around, the screen would appear upside down, although the input areas might actually flip with the screen but still be displayed as if they were upside down. This was a particular nuisance for people using a bluetooth keyboard or docking station with their iPad, as it meant the viewer would be displayed upside down when docked with either. On Friday, October 24th, Dennis Harper from OnLive dropped me a note to inform me that this rotation issue has now been corrected, The app should update for those who already have it, and the fix is now a part of all downloads obtained via the Apple iTunes store. 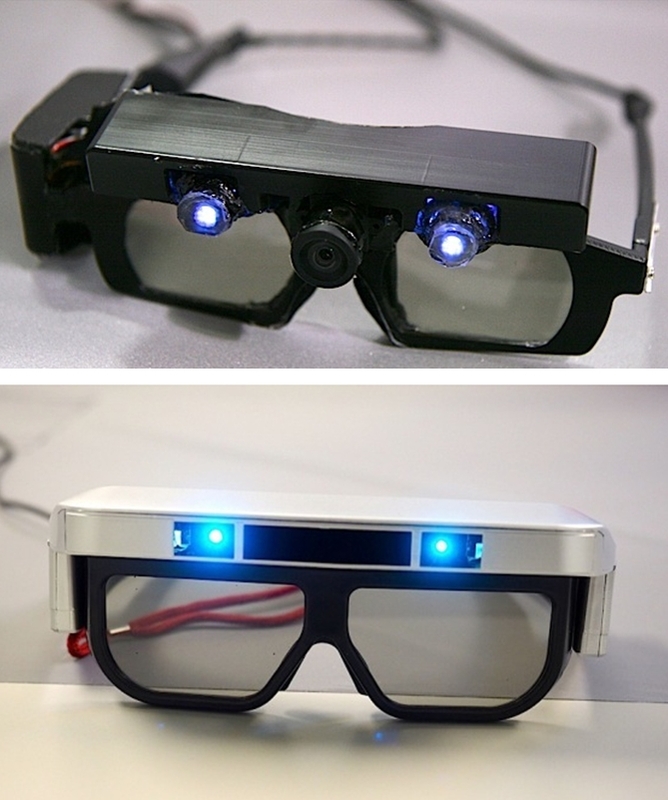 I’ve been following the work of Technical Illusions, the creators of the castAR projected augmented reality headset with a VR capability, for some time now, although things have been quiet on the news front for a while. However, that’s starting to change. The first item of news is that the company in the process of moving its operations from Seattle, Washington, to Mountain View, California. 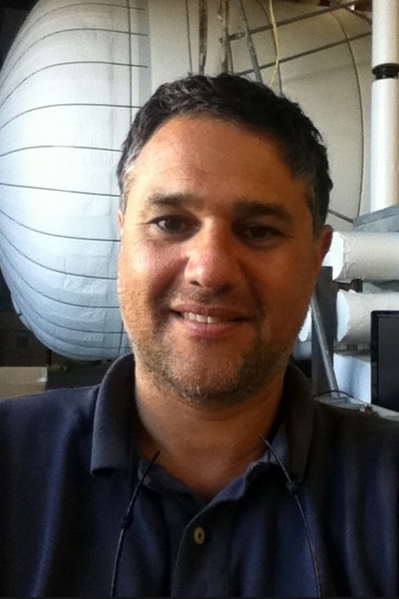 The move is being overseen by the company’s new CEO, David Henkel-Wallace, who joined the company in June 2014. The move is in part to try to drive-up the company’s ability to hire hardware talent – they’ve found it hard to get hardware specialists in Seattle, where software rules the roost. It also puts them in the middle of “Nerdvana” – as Co-founder Jeri Ellsworth puts it, which could do much to raise their visibility in terms of inward investment opportunities. As it is, the company numbers around a dozen full-time employees, including Henkel-Wallace, founders Ellsworth and Rick Johnson and CFO Paul Denton. Both Denton and Henkel-Wallace have considerable experience in building-up start-ups. There’s also Toby the cat, also listed as co-founder, and fulfilling the role of Senior Cat, with responsibilities for eating, sleeping, purring and lap-sitting. The other major news for the company is that a year after their Kickstarter campaign, their initial developer kits are now ready, and will soon be shipping to those people who pre-ordered kit through the campaign. The new headsets have also been on show to the likes of Engadget and Venture Beat’s Gamesbeat, where Ellsworth talked to Dean Takahashi. Ellsworth is the first to admit the new headsets are still some way short of a production-ready version, but they’ve still come a long way from even the 2nd prototype versions seen just seven months ago. The revised developer headset weighs-in at some 140 grams, and the company is aiming to get this down to around 80 grams in the production version. Included in that are two 120 Hz cameras with 135 degrees tracking, and 1,000 Hz gyro. The optics, now supplied by a Japanese company, deliver a resolution of 2,560-by-720, with every pixel addressable and capable of being resolved at a distances of between half a metre and 2 metres when using the retro-reflective system. The headset is admittedly still nerdy-looking, resembling a pair of heavily framed sunglasses with a bulky silver mounting for the LEDs and cameras on top. However, Technical Illusions state that they opted to make the headset somewhat on the big / clunky side, as they weren’t sure how well all the tech would fit into it. They’re now confident that the package can be shrunk down to something which not only meets their target weight, but which is also more pleasing to the eye and closer to their conceptual look for production versions. As well as the headset, the other major components of the system – the interactive wand, the retro-reflective surface and the VR clip-on – have all been refined and improved. Work is still ongoing with the wand, which allows a user to manipulate virtual items projected by the headset onto the retro-reflective surface with “sub-millimetre accuracy”. 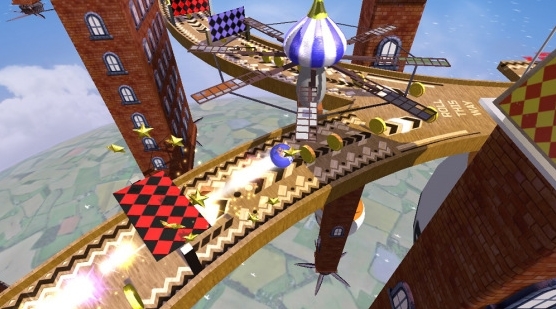 Kits, when shipped, will also include Technical Illusions’s own game, mARbles, designed to demonstrate the gameplay capability of the system to developers. So what is the market for the castAR? Ellsworth believes that games “will be king for a while”, and admits to looking forward to seeing flight simulators that use the castAR projection system, although she also notes other potential uses when talking to GamesBeat’s Takahashi. A lot of people are going to get excited about tabletop collaborative experiences, where multiple people sit around a table and work in the same physical space. All the game characters are in the same space. We have a lot of companies approaching us that want to use it for visualization – architecture, things like that, where you can sit around and table and work in the same space. Nor do users necessarily need to be in the same physical space, in order to engage with one another, as the company has demonstrated in a number of its videos. In terms of practical applications, Technical Illusions have been working with medical experts to see how the castAR system might be used alongside MRI scans, the castAR system being use to build 3D holograms of scanned patients which can be examined by doctors and / or surgeons, helping them to build a more complete understanding of the patient’s condition. 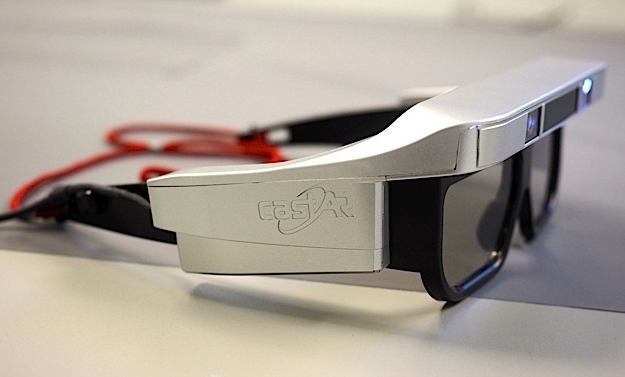 How successful castAR is likely to be is hard to judge; the world is awash with excitement over VR that all things AR have been largely sidelined. Even the involvement of Google (and others) in Magic Wand hasn’t really done much to change that. 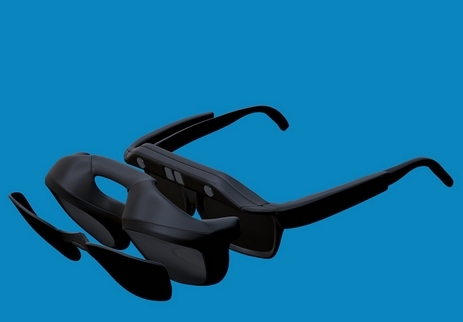 castAR is also somewhat different to other AR systems seen so far, potentially making it an oddball in the eyes of some media, although its potential to enter into the VR sphere through the VR clip-on may serve to generate wider interest. How big a footprint castAR might actually make in the VR world is hard to judge; a key here might be in whether it can be made compatible with games being specifically developed for Rift-type hardware. So far, the company has managed to achieve a lot while remaining relatively low-profile. Their emphasis for the foreseeable future is on building relationship with developers and getting content integrated into the system as the hardware itself continues to mature towards the desired consumer format. Even so, if the company is to make its mark, it is liable to need the support of investors – and the move to Mountain View is, as noted by Technical Illusions themselves, perhaps as much about that as putting them more readily at the hub of available expertise. As such, it’ll be interesting to see where the move leads. 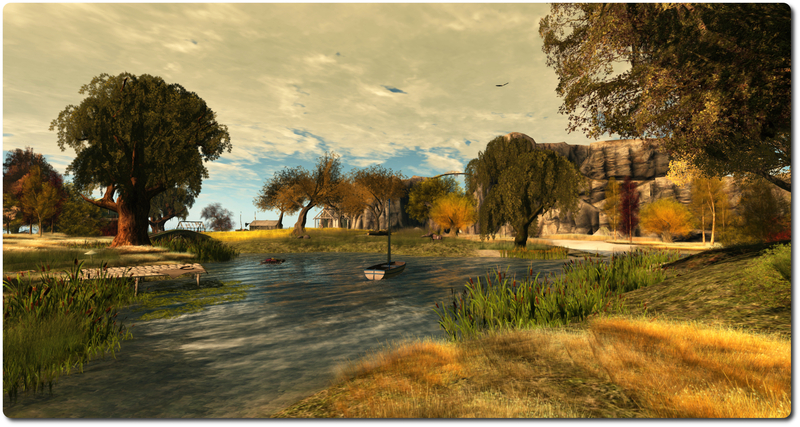 LeTigre and Magnum were both updated to the CDN for texture and mesh fetching. There is a further server maintenance package being prepared for deployment. however, it is still undergoing testing, and it is not clear whether it will be ready for deployment on Wednesday. With the CDN now supporting texture and mesh fetching across all of the primary RC channels, there is a chance it may be promoted to the Main channel in week 4, particularly given that, outside of CDN support, all the server channels are now in parity. However, the Lab is making no commitments to this, and is taking a “wait and see” approach on what may happen. In particular, the Ops team will be monitoring performance over the weekend, when SL usage is expected to be at its busiest since the RC-wide deployment of CDN support, to see how things hold up. As it stands, there are an estimated 130 regions on the Snack RC. As these all came from the Main channel, they will likely be switched back to that channel once it has CDN support, and Snack will again be dissolved until it is once again required. With the most recent changes to the back-end servers, Simon Linden is continuing to poke at the code to see what can be improved. He’s now looking at the code that routes the messages – where it goes to find where group members are on the grid in order to be able to deliver messages to them, with the aim of trying to improve things there. At the moment, if you move between regions which active in a group chat, the first message to be sent to you after you move will be sent to the region where you were and generate a failure message which has to go back to the chat service, which they has to relocate you and then attempt a further delivery. It is hoped that this can be improved, and there was a brief test following the Server Beta User Group meeting on Thursday, October 23rd to this end, just to see how the code is performing. It has been suggested that the Lab should bypass the region hosts altogether when handling group chat, and attempt to route it directly from the chat servers to the viewer. However, this would likely require some serious re-engineering; more to the point, it could introduce security vulnerabilities. A question was asked on how account L$ balances are updated on Aditi. Maestro replied that account balances are checked nightly (SLT), and any falling below L$ 10K (because someone has been uploading mesh models for testing / viewing prior to paying to upload them on Agni, for example), they are automatically increased by L$5K. However, if someone resets their account password (which triggers a reset on Aditi), their L$ balance will change to match their L$ balance on Agni, although again, if this is below L$10K it should be topped-up but L$ 5K overnight.